Nissan LEAF sales were up so high, they set more than just another sales record for July, but saw high double-digit percentage growth to boot. Once again, Nissan is recording record sales for another month. Nissan as a whole saw July 2014 sales in the United States getting double-digit growth over last year at this same time, setting (yet) another monthly sales record. Leading the charge was the Nissan LEAF, which had phenomenal sales numbers for July. Total Nissan sales figures were 121,452 for the month with the Nissan brand seeing an 11.5 percent sales hike year-on-year and Infiniti seeing a 10 percent sales hike for the same period. The two sales leaders in the Nissan brand were the Versa and the LEAF. The Versa jumped by a whopping 73.5 percent to 15,630 units for July 2014. The Versa's bigger brother, the Sentra, saw a 53.7 percent gain with 17,570 units sold in July. The real story, though, is with the all-electric LEAF. The best-selling electric car in the world kept its pace high, this time breaking the three thousand unit barrier for one month of sales, with July 2014 recording the second-best-ever sales month for the LEAF at a staggering 3,019 deliveries. For those keeping track, that's 15,755 LEAF EVs sold this year so far. That's two months so far this year in which the LEAF has broken the 3,000 unit barrier, with 3,117 being sold last May. 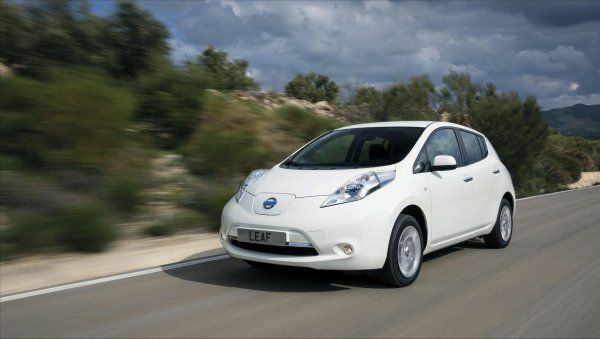 Last year, Nissan sold 1,864 LEAF cars and at this point last year had sold 11,703 of the electric vehicles. It's total year-to-date sales increase for the LEAF is at 34.6 percent, with only the Sentra beating it in year-to-date sales bumps over last year. For reference, the LEAF sold a thousand more units (or 33 percent more) than its next-closest rival, the Chevrolet Volt (2,020 units) and nearly triple the number of Toyota Prius Plug-in Hybrids sold for July. Whenever I read the hot news about Tesla coming out with a popular $35K EV I just scratch my head. Here it is. Ya, I've often wondered if the Model III will be too little, too late. I'm sure the Tesla III will be competitive when it comes out. They'll adjust the specs, the price and they'll have the Gigafactory to help with battery cost. I think the new LEAF will compete well with the model III - and we can have more business articles like this one to create buzz about that competition.